YUSUFALI: When the Hypocrites come to thee, they say, "We bear witness that thou art indeed the Messenger of Allah." Yea, Allah knoweth that thou art indeed His Messenger, and Allah beareth witness that the Hypocrites are indeed liars. 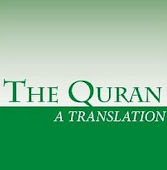 PICKTHAL: When the hypocrites come unto thee (O Muhammad), they say: We bear witness that thou art indeed Allah's messenger. And Allah knoweth that thou art indeed His messenger, and Allah beareth witness that the hypocrites indeed are speaking falsely. SHAKIR: When the hypocrites come to you, they say: We bear witness that you are most surely Allah's Messenger; and Allah knows that you are most surely His Messenger, and Allah bears witness that the hypocrites are surely liars. YUSUFALI: They have made their oaths a screen (for their misdeeds): thus they obstruct (men) from the Path of Allah: truly evil are their deeds. SHAKIR: They make their oaths a shelter, and thus turn away from Allah's way; surely evil is that which they do. YUSUFALI: That is because they believed, then they rejected Faith: So a seal was set on their hearts: therefore they understand not. PICKTHAL: That is because they believed, then disbelieved, therefore their hearts are sealed so that they understand not. SHAKIR: That is because they believe, then disbelieve, so a seal is set upon their hearts so that they do not understand. YUSUFALI: When thou lookest at them, their exteriors please thee; and when they speak, thou listenest to their words. They are as (worthless as hollow) pieces of timber propped up, (unable to stand on their own). They think that every cry is against them. They are the enemies; so beware of them. The curse of Allah be on them! How are they deluded (away from the Truth)! PICKTHAL: And when thou seest them their figures please thee; and if they speak thou givest ear unto their speech. (They are) as though they were blocks of wood in striped cloaks. They deem every shout to be against them. They are the enemy, so beware of them. Allah confound them! How they are perverted! SHAKIR: And when you see them, their persons will please you, and If they speak, you will listen to their speech; (they are) as if they were big pieces of wood clad with garments; they think every cry to be against them. They are the enemy, therefore beware of them; may Allah destroy them, whence are they turned back? YUSUFALI: And when it is said to them, "Come, the Messenger of Allah will pray for your forgiveness", they turn aside their heads, and thou wouldst see them turning away their faces in arrogance. PICKTHAL: And when it is said unto them: Come! The messenger of Allah will ask forgiveness for you! they avert their faces and thou seest them turning away, disdainful. SHAKIR: And when it is said to them: Come, the Messenger of Allah will ask forgiveness for you, they turn back their heads and you may see them turning away while they are big with pride. YUSUFALI: It is equal to them whether thou pray for their forgiveness or not. Allah will not forgive them. Truly Allah guides not rebellious transgressors. PICKTHAL: Whether thou ask forgiveness for them or ask not forgiveness for them is all one for them; Allah will not forgive them. Lo! Allah guideth not the evil-living folk. SHAKIR: It is alike to them whether you beg forgiveness for them or do not beg forgiveness for them; Allah will never forgive them; surely Allah does not guide the transgressing people. YUSUFALI: They are the ones who say, "Spend nothing on those who are with Allah's Messenger, to the end that they may disperse (and quit Medina)." But to Allah belong the treasures of the heavens and the earth; but the Hypocrites understand not. PICKTHAL: They it is who say: Spend not on behalf of those (who dwell) with Allah's messenger that they may disperse (and go away from you); when Allah's are the treasures of the heavens and the earth; but the hypocrites comprehend not. SHAKIR: They it is who say: Do not spend upon those who are with the Messenger of Allah until they break up. And Allah's are the treasures of the heavens and the earth, but the hypocrites do not understand. YUSUFALI: They say, "If we return to Medina, surely the more honourable (element) will expel therefrom the meaner." But honour belongs to Allah and His Messenger, and to the Believers; but the Hypocrites know not. PICKTHAL: They say: Surely, if we return to Al-Madinah the mightier will soon drive out the weaker; when might belongeth to Allah and to His messenger and to the believers; but the hypocrites know not. SHAKIR: They say: If we return to Medina, the mighty will surely drive out the meaner therefrom; and to Allah belongs the might and to His Messenger and to the believers, but the hypocrites do not know. YUSUFALI: O ye who believe! Let not your riches or your children divert you from the remembrance of Allah. If any act thus, the loss is their own. PICKTHAL: O ye who believe! Let not your wealth nor your children distract you from remembrance of Allah. Those who do so, they are the losers. SHAKIR: O you who believe! let not your wealth, or your children, divert you from the remembrance of Allah; and whoever does that, these are the losers. YUSUFALI: and spend something (in charity) out of the substance which We have bestowed on you, before Death should come to any of you and he should say, "O my Lord! why didst Thou not give me respite for a little while? I should then have given (largely) in charity, and I should have been one of the doers of good". PICKTHAL: And spend of that wherewith We have provided you before death cometh unto one of you and he saith: My Lord! If only thou wouldst reprieve me for a little while, then I would give alms and be among the righteous. SHAKIR: And spend out of what We have given you before death comes to one of you, so that he should say: My Lord! why didst Thou not respite me to a near term, so that I should have given alms and been of the doers of good deeds? YUSUFALI: But to no soul will Allah grant respite when the time appointed (for it) has come; and Allah is well acquainted with (all) that ye do. PICKTHAL: But Allah reprieveth no soul when its term cometh, and Allah is Informed of what ye do. SHAKIR: And Allah does not respite a soul when its appointed term has come, and Allah is Aware of what you do.